The Parish Council, working with the clergy and acting on behalf of the Parish Assembly, is entrusted with the management of the parish’s activities, ministries and facilities. It has a responsibility to safeguard the church’s congregation. It has fiduciary responsibility of the financial matters of the parish. The Parish Council must also adhere to federal, state, and local statutes which apply to the parish. It receives guidance through the Archdiocese Uniform Parish Regulations (UPR), the policies and procedures emanating from the Archdiocese, the office of the Metropolitan and Chancellor of the Metropolis of Atlanta, the Parish By-laws, approved budgets, and other policy decisions. 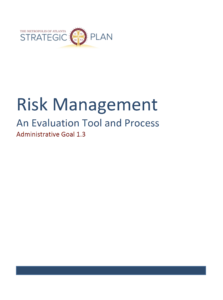 This Evaluation Tool and Process is another resource available to the Parish Council, offering tactical considerations it can use to mitigate risk to the parish. The objective of this Evaluation Tool and Process is not to dictate a set of risk management policies and procedures for the parishes of the Metropolis of Atlanta. Those come from the Metropolitan’s or Chancellor’s offices. The intent is for the Parish Council to develop its own systematic risk management approach for the operations of the parish. Each Parish Council must determine how it can best balance risk/cost and liability/safety. The strategy the Parish Council develops will be based on the demographics, size and talent within its own community. This Evaluation Tool and Process raises the awareness that there are numerous considerations to be evaluated, additional precautions that might be taken, or other procedures developed to make the Clergy, Parish Council, and those who assist them good stewards of their parishes and parishioners. As this risk management goal goes forward, a further objective is to create a communication and best practices sharing process among the parishes. Topics will be rolled out periodically, training opportunities will be announced, and discussion forums will be offered for parish leadership.